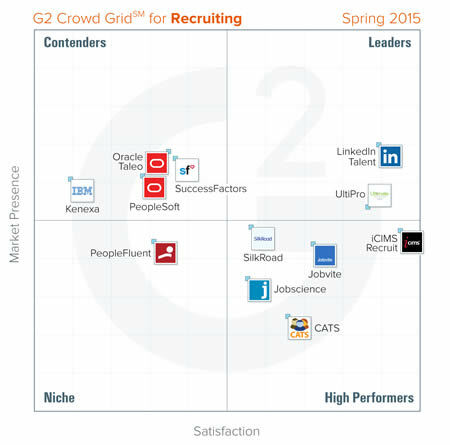 Yesterday’s Advisor presented rankings of recruiting software from G2 Crowd. Today, the infographic that displays the information graphically. To be placed in the Leader category, a product must receive a high customer satisfaction score and have substantial market presence. As the graphic shows, LinkedIn Talent and UltiPro were named Leaders. Those in the High Performers category have high customer satisfaction scores with a smaller market presence than Leaders. SilkRoad, iCIMS Recruit, Jobvite, Jobscience, and CATS were named High Performers. 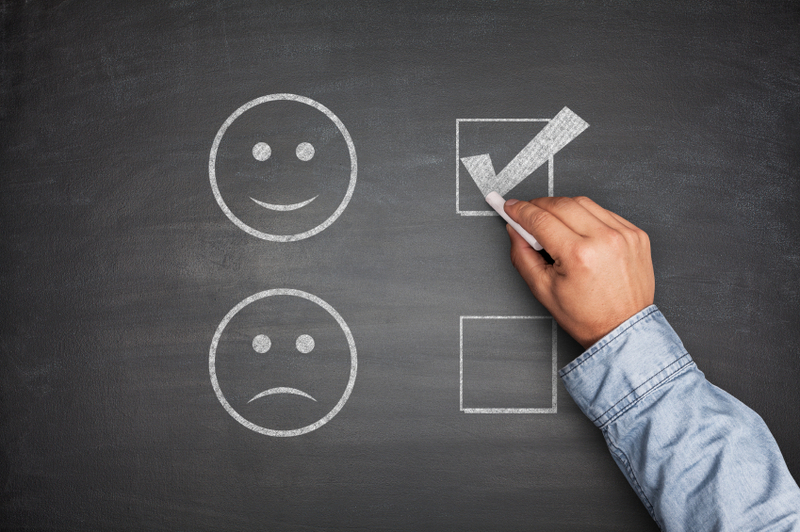 iCIMS Recruit earned the highest overall customer satisfaction score. Choosing recruiting software is a daunting task. This graphic may not provide the specific help you need, but it does represent a good way to go about evaluating your options. Define the features and capabilities you need, along with the characteristics of the software provider that are important, and start plotting on a grid. It may clarify your choices. ve better purchasing decisions. Technology buyers, investors, and analysts use the site to compare and select the best software based on peer reviews and synthesized social data. For more information, go to G2Crowd.com. There are so many software solutions out there these days—but how is technology really being put to use by HR professionals? Six times a year, the HR Daily Advisor Research Team conducts detailed research into contemporary HR challenges, and for our latest report, we examined how technology is affecting the field of human resources. No question that technology is taking over many HR tasks; how many is too many? What functions are being automated, how is software coming into play, and how far do HR professionals trust technology to make decisions? See the results of our national survey as well as demographic breakdowns for each question. Technology advances at a rapid pace—don’t be left behind! With the information in this report, you will get insight into the effects of HR tech—and maybe learn a little about what your competitors might be up to.